As we near the ELD deadline, Single Point would like to give you some ELD Solutions and tips to help keep/get you compliant. In choosing an ELD, verify the unit’s functionality against the FMCSA checklist of features and functions the ELD must provide. How much does an ELD cost? The cost of an ELD for a small Carrier will range anywhere between $200 to $450 for installation. In addition to the initial install, there will be a monthly monitoring fee of approximately $25. Make sure the ELD model you are considering is approved on the FMCSA website. Contact Single Point for our approved ELD Partners. Assure you have separate ELD devices for each of your drivers in order to manage and maintain your entire fleet. The unit has “Integral Synchronization” with the engine control module to automatically record engine power status, vehicle motion, GPS and other Critical Compliance data. 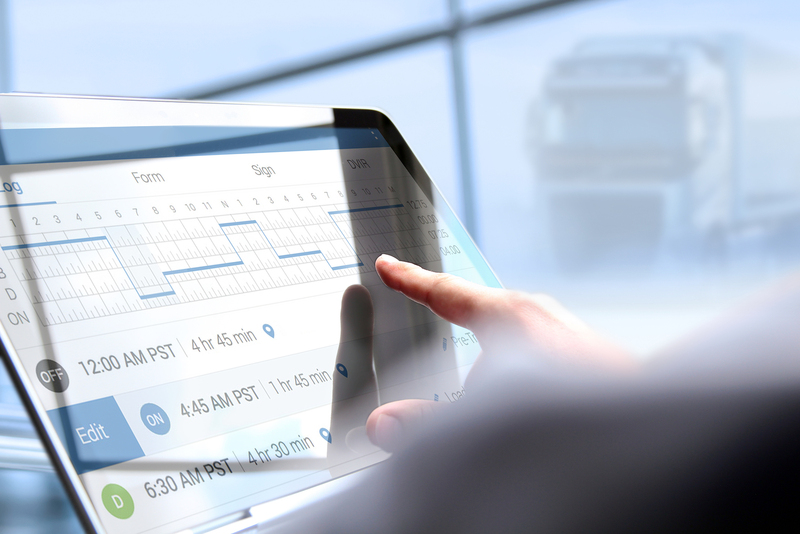 The ELD automatically records all driving time at intervals of 60 minutes. Be aware these are only excerpts from an extensive list of required functions. If your ELD does not perform the required functions, it will not qualify and you will be fined. Since the ELD Regulations have gone into effect we have noticed a rising issue that is starting to affect our clients. There have been instances of Brokers offsetting charges incurred on the Carrier for late deliveries, although the Broker knew it would be impossible for the Driver to deliver by the required time. In order to keep our Carriers from running into these issues, we have some recommendations that will prove helpful. Allow yourself sufficient time to deliver, so you remain in compliance with ELD regulations. Know your limits, if you can’t make it don’t take it! When you reach 12 of your HOS start planning your resting location (which may include having a backup plan). We hope these tips have helped you to stay safe and compliant! © 2018 SinglePoint Capital. All rights reserved.